HR Roundtable: Wacky Accommodations ... Are They Ever Coming Back? Details: Working in HR in the state of California can be challenging to say the least. Join a variety of HR Professionals in a fun and productive round table discussion to talk about the latest issues regarding employee accommodations and leaves of absence. Bounce ideas off one another and gain insight into problems you may be facing in your own office. 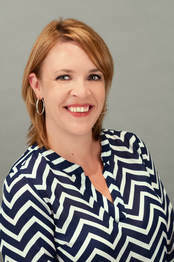 Janelle Arsich has over 15 years of experience in the Human Resources field as well as several years in business administration. Ms. Arsich’s focus is on employee relations, performance management, payroll and accounting, benefits administration, employee handbooks and legal compliance, to name a few of the many services she provides to our clients. Janelle’s favorite aspect of human resources management is in the creation and implementation of an HR presence in small companies. She focuses on understanding how to best support the company’s needs based on their business needs, establishing goals, and teaming with management to meet those goals. **Registration is limited to the first 20 people. For more information or questions, please contact Melissa Ford at admin@saceac.com.